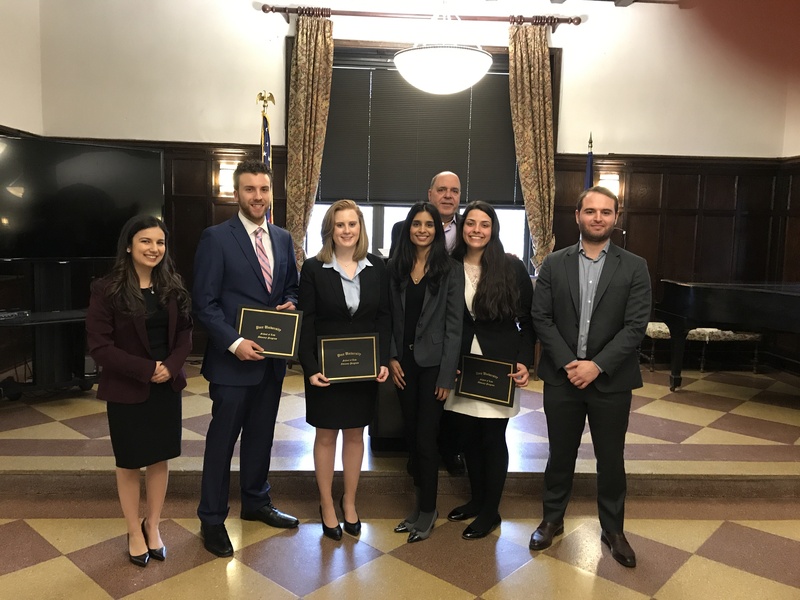 On Saturday, February 10, 2018, the Pace Law Advocacy Program held its first-annual 1L Opening Statement Competition. The walk-on competition afforded 1Ls the opportunity to experience a mock courtroom with a mock jury. In the preliminary rounds, the students delivered openings for both sides of a homicide case with an identity issue. The fact pattern was from a previous Queens District Attorney’s Office Mock Trial competition, and was used with permission of that office. The jurors and evaluators were all Pace alumni and current criminal defense attorneys, assistant district attorneys, and civil litigators. Each of the top four students won a Kaplan bar review gift card. The top four students, in order of placement, were Scott Trivella, Erin Donovan, Vanessa Neal, and Nisha Desai.